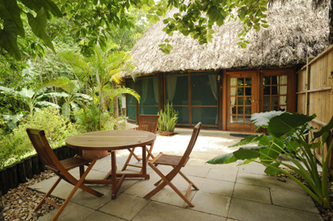 The Lodge at Chaa Creek "Our Belize Vacation" - "Our Belize Vacation"
As one of the most highly regarded and awarded Belizean eco resorts and hotels, The Lodge at Chaa Creek takes a wildly civilised approach to adventure travel in the Caribbean and Central American region, providing casual luxury in a vibrant, unspoiled rainforest setting. 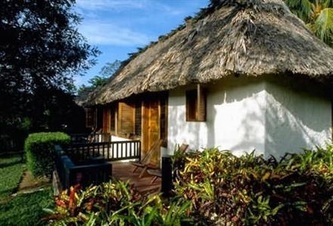 Our luxurious all inclusive Belize resort offers customized eco tours and adventure activities including horseback riding, swimming, canoeing, hiking, mountain biking, birding, visits to the onsite Butterfly Farm, Natural History Museum, and Belize rainforest tours including a traditional medicinal plant trail. 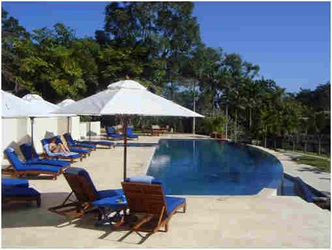 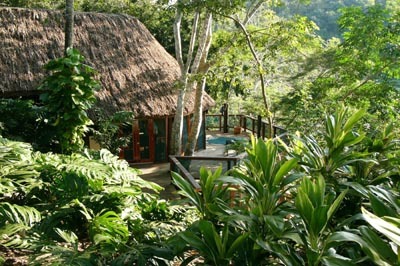 We also boast one of best health spas in Central America! The accent is on comfortable adventure, and as a family owned and operated jungle lodge we cater to all ages and interests with affordable Belize vacations designed to get everyone involved in an once-in-a-lifetime adventure. Our stunning 365 acre property set along the banks of the lovely Macal River features miles of horseback riding, biking and hiking trails, a swimming pool and one of the best spas in the region. The birding, with toucans, parrots, hummingbirds, woodpeckers, chachalacas, the laughing falcon and many other species is incredible. 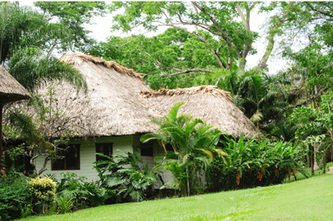 For guests looking for an opportunity to get involved in Belize and help make a difference there's the unique "Go Green Belize" - an Ecotourism Vacation Package. 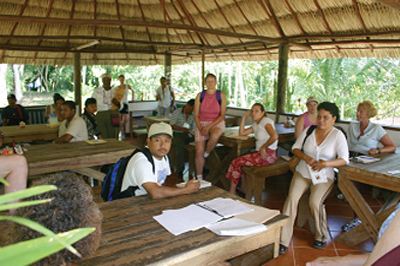 This educational, Belize all inclusive pioneers sustainable interactive tourism as we encourage guests to enrich their experience by contributing to local communities, environmental conservation, sustainable development, traditional healing, the ancient Maya, and social and environmental stewardship. And with the approach of 2012, a sacred year of new beginings for the Maya, our long standing emphasis on Maya Culture, history and archaeology will be highlighted with a wealth of special Belize tours, workshops and celebrations leading up to an incredible region-wide celebration during the winter solstice of 2012. 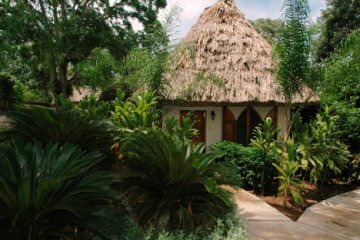 For the most memorable Belize wedding or Belize Honeymoon imaginable, our Rainforest, Maya and Butterfly Wedding Vacation Package provide stunning locations and impeccable attention to your wishes. 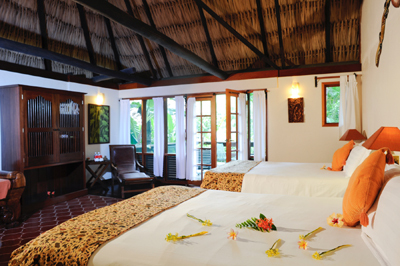 For honeymooners, second honeymooners and couples looking for a romantic setting, our all inclusive Belize honeymoon packages ensure that your time together in Belize will be a perfect celebration of love. Perched high atop the meandering Macal River, these large airy suites provide a one-of-a-kind Rainforest Experience in Belize’s verdant Western Cayo District. You’ll share a birds’ eye panoramic view with toucans, parrots, kingfishers and many other colourful avian species. 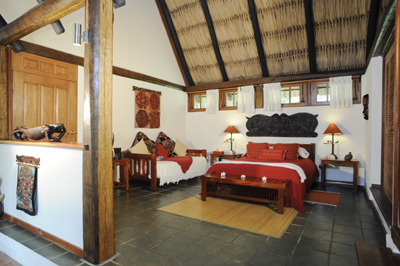 Each one bedroom suite contains all amenities including a private Jacuzzi set in verandas perfect for stargazing and ultimate relaxation. They are perfect nests for a honeymoon or other special moment, and can also easily accommodate family groups with comfortable sleeping arrangements for four. 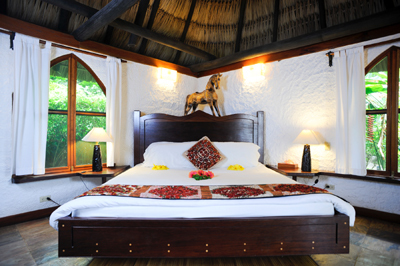 There is simply no better way to experience the jungle and wildlife after an exciting day of award winning Chaa Creek activities. 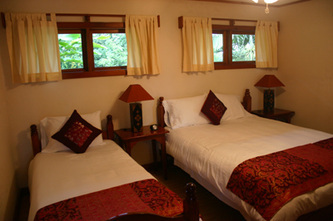 Furnished with a queen-size bed and a day bed that converts from a couch into a comfortable single. 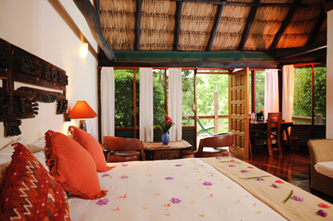 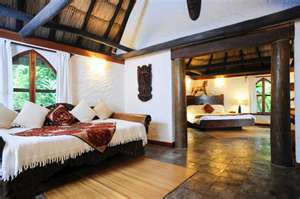 This room also comes with a private, screened veranda looking out to magnificent garden and jungle views. The Garden Jacuzzi Suite features a four-poster mahogany bed, fine linens, Guatemalan antique armoire and other carefully selected furnishings, a spacious bath with Jacuzzi and a private screened veranda with jungle garden. 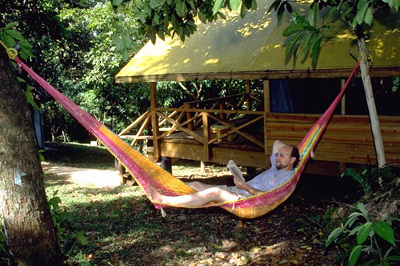 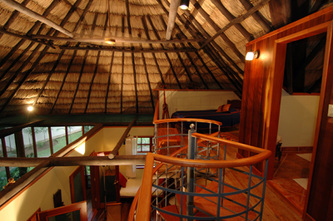 Both suites let out onto a large veranda with hammocks overlooking the gardens. The fully screened rooms have ceiling fans, lamps, reading lights, comfortable amenities and tasteful furnishings. 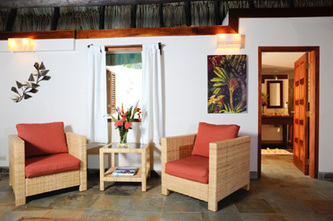 They offer a level of private, casual luxury exceptional even by Chaa Creek's standards. We designed the Orchard Villa with families in mind, but it has become equally popular with friends and individuals wishing more space in a private garden setting. 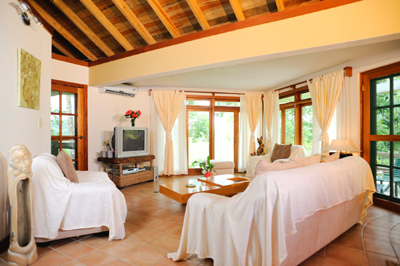 The large villa easily accommodates two couples with two separate queen sized sleeping areas, a full bathroom, winding staircase and an upstairs loft with two single beds and its own private bathroom. 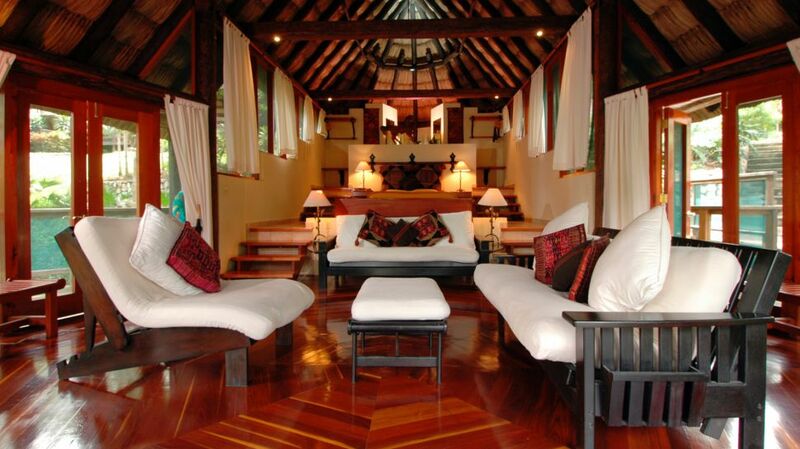 A fully screened sitting room looks out on lush tropical gardens and our orchard overlooking the Macal River Valley. As with all Chaa Creek accommodation, the accent is on blending in and harmonizing with the natural surroundings. 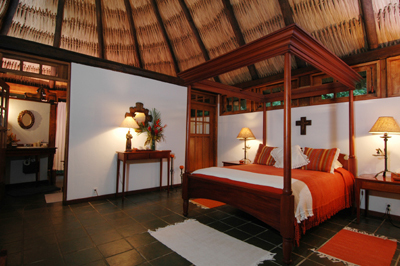 Our individually designed palm thatched cottages are furnished with a tasteful, casually elegant mix of hand crafted furniture, fine fabrics and local and international art, all designed to blend in with the exquisite rainforest surroundings and local culture. 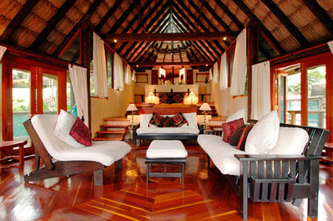 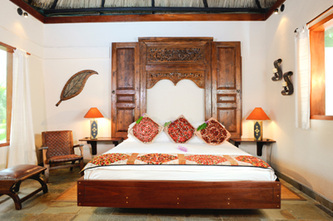 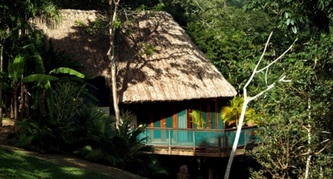 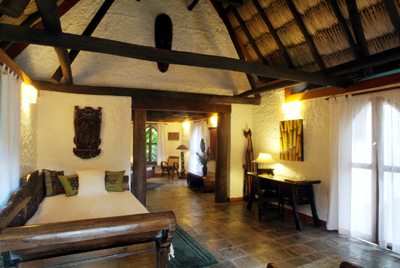 We strive to have our cottage interiors compliment the natural beauty of the jungle surroundings. 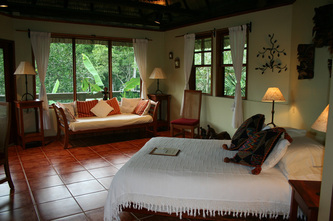 The spacious cottage rooms all feature private sundeck verandas from which to enjoy the soothing sights and sounds of the rainforest, and dazzling hummingbirds are frequent visitors. 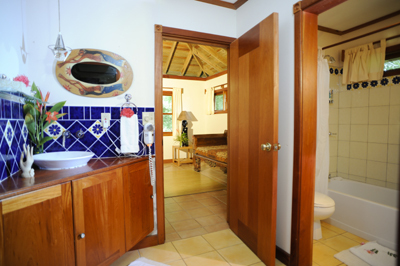 With only twenty-three cottage accommodations, our staff can show that they value your stay as much as you do, and friendly service is always available without being obtrusive. And at Chaa Creek, you’ll discover how we practice green sustainable practices while still offering full amenities and wildly civilised, rustic elegance. Perched on the edge of a grassy knoll overlooking the sleepy Macal River, the cottage blends stylish simplicity and elegant furnishings to create a romantic ambiance in a stunning rainforest backdrop. Nestled amidst tropical gardens, the spacious accommodation with its king sized bed, oversized day bed and leisure furniture also includes two private terraces for relaxing in hammocks or enjoying the outdoor Jacuzzi al fresco. 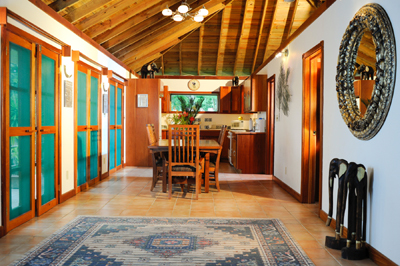 Naturally perfect for families this charming cottage colony is just as popular with couples. The spacious three-bedroom Spa Villa is set within a tropical hillside garden and features a master bedroom with a king size bed and en suite bathroom. 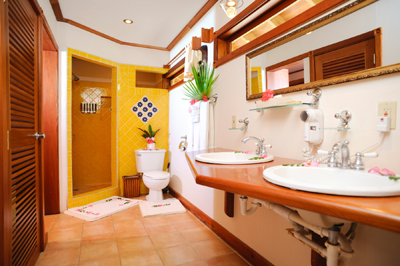 A second bedroom containing a queen and single bed and a third bedroom with a queen canopy bed share a full sized bathroom. Guests can enjoy a panoramic view of the lush jungle surrounds of the Macal River Basin from the generous glass walled living room and large wrap around veranda with outdoor Jacuzzi. 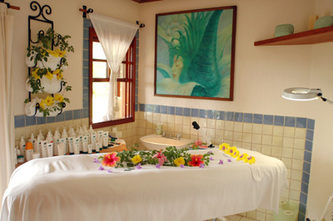 Professional massage treatments are also on offer in the comfort and privacy of the Spa Villa lodging. 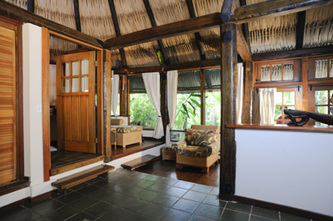 The air-conditioned Villa contains a full kitchen and guests also have the choice of ordering a variety of delicious meals prepared by the lodge’s resident chef at the Chaa Creek restaurant. 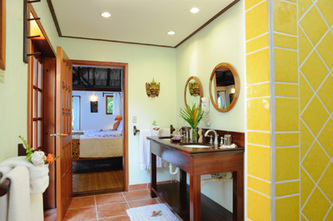 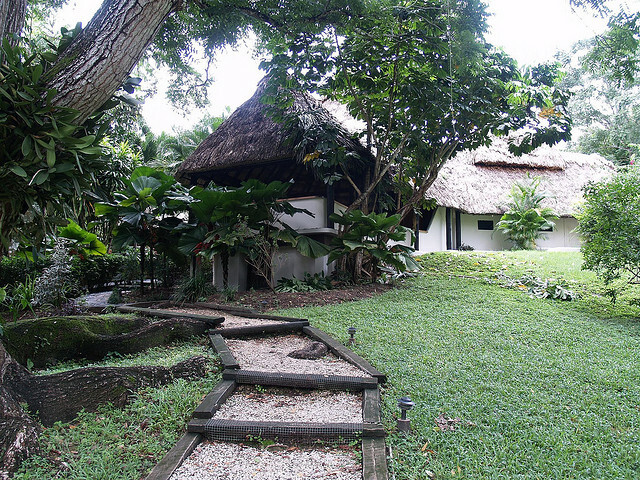 The Spa Villa is a short walk away from the main cottage plaza, dining room and bar. 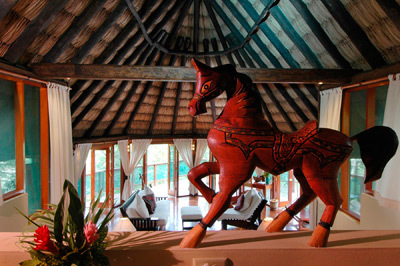 NOTE: The Spa Villa does not accommodate children under 10 years old. 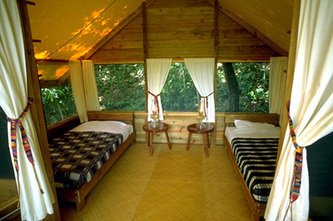 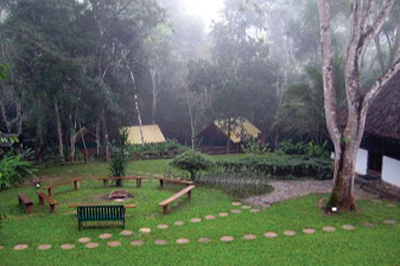 Every effort has been made to create a true jungle experience without relinquishing comfort and safety. Here at the Macal River Camp you can experience nature much as the original Maya inhabitants or early settlers did – with little of the distraction or noises of civilization. 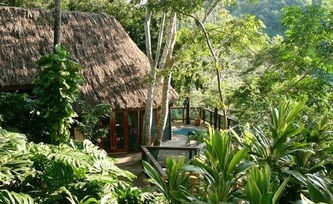 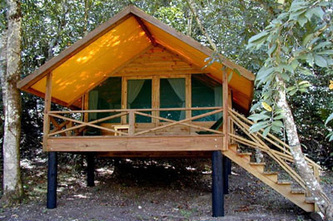 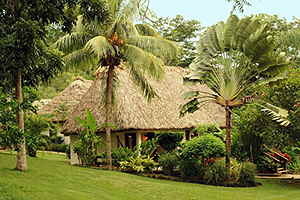 It is a tranquil, peaceful location that brings home the beauty and vibrant life of Belize’s rainforest and rivers. 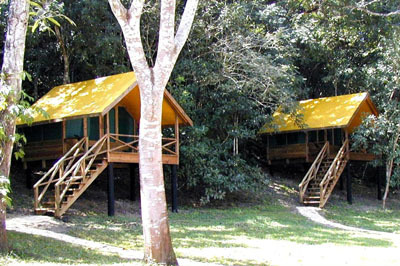 Wake to the sound of myriad tropical birds beginning their day, enjoy a hearty breakfast from the camp’s home style kitchen and take a journey of discovery along the miles of trails through Chaa Creek’s sprawling nature reserve. 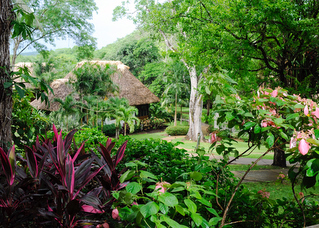 The walk above the Macal River to the fascinating Maya Medicinal Plant Trail is beautiful, and other hiking, birding and mountain biking possibilities are, well, endless. Chaa Creek’s highly regarded stables are also within hiking distance, or we can bring the horses to you. 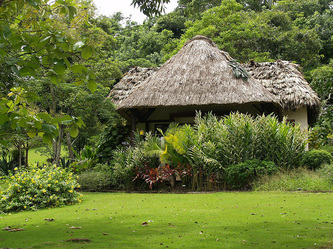 Whichever means of rustic transport you choose, keep your eyes open for peccaries, tapir, armadillos, deer, monkeys, toucans, parrots and a host of other exotic animals inhabiting the rainforest.